New Jersey Governor Chris Christie is a very busy man this morning. He’s dealing with massive storm damage this morning, and the lives of many of his constituents that have been severly impacted or even lost. And of course… new information is coming in by the minute. Steve Doocy: Over the last couple of months you have appeared throughout the country Governor on behalf of Mitt Romney talking him up for President of the United States. I know the President [is] off the campaign trail today. Although, we hear that perhaps Mr. Romney may do some storm-related events. Is there any possibility that Governor Romney may go to New Jersey to tour some of the damage with you? Gov. Christe: I have no idea, nor am I the least bit concerned or interested. I’ve got a job to do here in New Jersey that’s much bigger than Presidential politics, and I could care less about any of that stuff. I’ve got 2.4 million people out of power. I’ve got devastation on the shore. I’ve got floods in the northern part of my state. If you think right now that I give a damn about Presidential politics then you don’t know me. Clearly Mr. Doocy’s question was insensitive and out-of-line, but it was also very terribly phrased. A “storm-related event”? Is Romney going to throw a campaign rally for the storm victims? Governor Christie’s interests lie with the people of New Jersey, and ensuring they have a strong recovery. But I guess Mr. Doocy didn’t get the message that Sandy was a REAL hurricane that affected millions of people’s lives. It doesn’t “jive” well with party politics. Today, on Monday October 29th, most Americans are witnessing an event that could potentially change our nation’s history forever. In fact, it already has. As the East Coast waits with baited breath, Hurricane Sandy storm has already entered world history books as the largest tropical cyclone ever recorded. For the second time in 14 months, New York City has shut down it’s humongous public transportation system. But along with NYC, public transit has also shut down in Washington DC, Philadelphia, Baltimore and across New Jersey, causing tens of millions of Americans to be locked in place. Again, like it or not… that’s historic folks. But Sandy has also done something else that seemed virtually impossible before November 6th. It has effectively “ended” both Presidential campaigns. As President Obama and Governor Romney both know all too well, this is not the time keep trading barbs in front of the American People. Even after the storm moves through, Americans will most likely be dealing with a lot of challenges in its aftermath. Ask a Gulf Coast resident… Hurricanes never get resolved in just a few weeks. The ramifications, if severe, will last for years to come. Ironically though, events of this magnitude often change the course of political history. Over the next several days, we’ll probably be seeing just as much (if not more) of Governor Chris Christie as we do either Mitt Romney or Paul Ryan. This will be a time that could truly put the New Jersey Governor, as the most prominent Republican in the wake of this storm, to the test, as well as sow important seeds for his future. And of course, President Obama’s role as “Responder-In-Chief” has never been more crucial. Which brings me to the point that hasn’t been discussed much in this election season. The most important role of any “executive” public servant… Mayor, city manager, Governor or President, is actually Responder-In-Chief. Being President is much more about the things you cannot control, than the few things that you can. Once the campaign talk is over, the American people get a quick reminder of just how little political campaigns actually predict one’s effectiveness in a job. They then have to see the official in action. 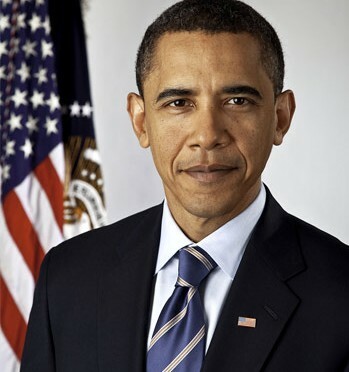 In 2008, President Obama ran a very successful campaign. But when he took office, he became mired in the real world of America’s most pressing issues. He then had to transition from a guy with lots of big ideas, to a guy that could deliver real, tangible results. Some would argue that he hasn’t done that… and they would be WRONG. Against the very long odds of crippling divisiveness in Congress, he was able to accomplish steps that dug our economy out of recession, and put us back on track. Yes, still describe the nation’s jobs record as “lack-luster”. But as Mitt Romney said about his own jobs record in Massacusetts, “It takes a while to get things turned around.” That’s the role of a Responder. You don’t cause the situation you’re in, whatever it is, but you care enough to do something about it. Of course there’s irony that Mr. Romney said this about his record, but doesn’t care enough to extend President Obama the same courtesy. As all of the chatter has consumed the last year, Mr. Obama’s term (hopefully 1st term) in office ends in essentially the same way it began… responding to huge national challenges unseen by this generation. If anything, Sandy is that. So now in what should have been the final week of an historic campaign, President Obama will get to do what he’s actually best at doing… be President. My thoughts and prayers go out to all those affected by Huricane Sandy. This is the political climate which defined President Obama’s first term in office. On one side you have the Democrats, whom behaved mostly as politicians are expected to. They didn’t always vote as a block on the issues… Each Legislator brought their own personal opinions and constituent needs to influence the way they voted. And of course, Democrats were plagued by the usual scandals, which this time befell outspoken Congressman Anthony Wiener and former Governor-turned-inmate Rod Blagoyevich. But when it came to big things, Democrats were able to get some of them done, despite massive GOP roadblocks… Healthcare reform, the repeal of Don’t Ask Don’t Tell, unprecedented consumer protections against bank and credit card fraud, and significant reforms for students to make paying their student loans back less of a life-long burden. But all along the way, Democrats had to fight tooth-and-nail against an unplanned adversary… Republican partisanship. In 2009 and 2010, the Senate GOP launched an attack never seen before in all of American history. They filibustered EVERYTHING… even many bills that members once themselves sponsored and supported. The purpose of these filibusters weren’t because they believed the legislation was bad, but because any legislative accomplishment would be viewed as a positive for Barack Obama and the Democrats. So on legislation like the Dream Act… Something that has long held bi-partisan champions in the Senate, was killed as they sold their souls to the political devil to prevent any notion of American progress. They put party over country in the ultimate display of partisanship. Finally in 2010, Republicans were able to reap some benefit from making the Democrats look bad. They won historic victories in the House, and now have a say in the legislative agenda. This historic tide came from a skilled combination of economic frustration, Anti-Democratic messaging and partisan-fueled hostility. But when Speaker John Boehner and his Republican colleagues took control of the House, the gridlock didn’t end… not by a long-shot. They wasted the time and money of the American people on useless repetitive votes, and crafted legislation that they knew would not pass the Senate. It was then that the inner workings of the GOP were exposed, and that all of the partisan firewalls were taking an immeasurable toll. Well immeasurable in one sense, but others see the price they are paying quite clearly. President Obama even believes, as revealed in a recent Des Moines Register interview, that the careful coalition that the GOP created to win the 2010 election is the same one that could cause them to lose in 2012. The party has gone so far to alienate Hispanic voters, that it may very well help the President get re-elected. And if that happens, the coalition will surely fracture. Why? Because they realize that there is nowhere else they can go without getting serious about Immigration reform, and appealing to a more diverse America. So in a way, the perils of Republican partisanship have produced a silver lining for Democrats. They improve the President’s chances for re-election, help Democrats to pick-up House seats, and almost guarantee an important legislative victory for the President in his first year back. But one important question remains… if Mitt Romney is elected, what becomes of the GOP? Would it still fracture and regroup for 2016? In short, the answer is no. Whether they’d like to admit it or not, the GOP of 2012 is in desperate need of some changes. As Obama said, they can’t continue down a path to total exclusion. A Romney victory means that many Republicans will have to stick to their guns. They’d be forced to keep up the infighting between the Tea Party and the establishment wings of the party. They’d be forced to answer for the massive, outlandish promises Mitt Romney has made about his “magical” tax plan, self-deportation and repealing many of the GLBT rights advances that we’ve lived with over the last four years. They’d be forced to support Mitt Romney’s candidacy during 2016 and prevent a whole slew of much more “exciting” new candidates from running until 2020. They’d face the possibility of Mitt Romney facing off aganst Hillary Clinton, whom the Democrats would surely flock to if she chooses to run. Essentially, if Mitt Romney wins, GOP lawmakers are going to be asked to do the impossible. See that’s the unintended consequence of partisanship… it’s a short-term fix, but in the long-run it leads to more destruction. 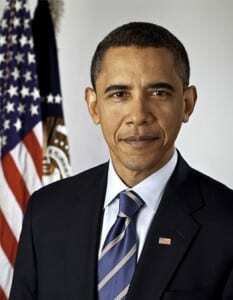 As crazy as it sounds, the best thing for those that truly care about the Republican Party’s future may be to re-elect President Obama. Of course, I don’t think Democrats would complain either!! In two short weeks, we’ll have many of these answers. But for now, we have to wait and see just how thick the GOP’s partisan firewall is. Signaling another bold move, the Obama administration has decided to let the cat out of the bag. The President gave a very detailed (and mostly off-the-record) interview to the Des Moines Register. Reporters Rick Green and Laura Hollingsworth wasted no time, and asked some very interesting questions. The President actually started out the interview by giving an outline of his agenda for a second term. If you haven’t noticed since the final debate, Mr. Obama is suddenly more than happy to talk about details. Q: Great. Mr. President, we know that John Boehner and the House Republicans have not been easy to work with, and certainly you’ve had some obstacles in the Senate, even though it’s been controlled by the Democrats. At the time, whenever — we talked a lot about, in 2008, hope and change. I’m curious about what you see your role is in terms of changing the tone and the perception that Washington is broken. But particularly, sir, if you were granted a second term, how do you implode this partisan gridlock that has gripped Washington and Congress and basically our entire political structure right now? And, again, that’s something that even John Boehner — John Boehner and Mitch McConnell, they’ve got a bridge linking Cincinnati and Kentucky, and the bridge is so broken down that folks are having to drive an hour and a half of extra commuting just to get across the Ohio River. There’s no reason why we can’t work on things like that and put people back to work. So there we have it… President Obama’s detailed explanation for not only what he hopes to accomplish in a second term, but also how he’s going to get there with a very devisive Congressional environment. We also learned, as he said during the third debate, that he has no intention of allowing sequestration to occur, and that immigration reform is a top priority he looks to accomplish during his very first year. The Obama campaign is coming under fire because they had originally requested this interview be off the record. Why? Because some on the campaign probably worried that it was too candid to say before the Election Day results come in. But for some voters, this is exactly the type of information they need to hear. And they are very glad for this revealing interview. In the immortal words of Sir Francis Bacon, “Knowledge is Power”. Glad to see that Mr. Obama agrees. Appearing before a city council meeting in Springfield, Missouri, Dr. Phil Snyder, an area preacher draws stunning similarities between the arguments we hear today against LGBT equality, and the ones from yesteryear against segregation. He proves, like we suspected, that those arguments are virtually identical. After changing the words “Racial integration” from direct quotes of white preachers from the 1950s, he replaces it with the term “gay rights”. At the end of the speech, he reveals the true intent to all. This is a video that I hope everyone not only sees, but takes a moment to think about. Perhaps one of the most stunning moments that has ever occurred on Fox and Friends, Right-leaning economist Ben Stein shocks the hosts by completely defying the network’s normal talking points. Steve Doocy, Gretchen Carlson and Brian Kilmeade seem to be stunned. What’s even crazier is he knows that he’s not supposed to say this kind of thing on the network!! I guess someone found their “Romnesia” medicine.